It’s an email list -> traffic -> email list¬†cycle, and it’s the fastest way to perpetually grow your audience. Clay and his team are the masterminds behind¬†LeadPages, which is my favorite marketing tool that I’m using at the moment. I’m currently using it to create my “coming soon” landing page and collect leads for my Food Truck website for Niche Site Duel 2.0, and I’m also using it to quickly setup great looking webinar registration pages and thank you pages here on SPI. I re-listened to this session after our conversation together, and I have to say that this podcast episode definitely gives all others a run for its money as far as the best and most useful podcast session to date! I’ll let you be the judge of that. Examples of successful ‚Äúlead magnets‚ÄĚ (i.e. 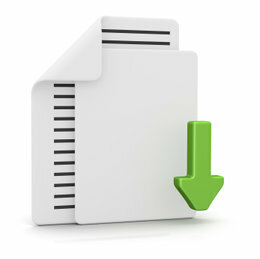 downloadable resources given away in exchange for the opt-in). A landing page template for turning your 404 page into a lead generating opt-in form that builds your list and doesn‚Äôt let visitors ‚Äúleak‚ÄĚ through your site. In order to win, all you have to do is leave a comment below with your best one-sentence¬†resource guide opt-in page HEADLINE, based off of the formula that Clay mentions around the 46:20 mark of the show. Thank you so much for listening! I hope you enjoyed this episode of the podcast!¬†And don’t forget to sign up for the webinar’s this Thursday and Friday! If so, please join over 75,000 people who receive exclusive weekly online business and blogging tips, and get a FREE COPY of my eBook, eBooks the Smart Way! Click on the green button below! It‚Äôs nice to meet you! Share your name and email with me and I‚Äôll send you my SPI goodie bag‚ÄĒexclusive content in the form of a special set of emails‚ÄĒcovering how to earn passive income the smart way. Enter your email below and I‚Äôll send it right to your inbox! I had a really nice website (no email opt-in) that recently got infect with malware, google removed its listing and pretty much lost it all. Starting again has given me an opportunity to get it right and hit the ground running. Thanks for all the actionable info and help. Keep it coming! The formula is: (1) specify type of tool, (2) specify outcome (must be as concrete as possible), (3) the parenthetical statement should be counterintuitive or create massive curiosity. Also, try and be more specific than tools… are they websites? Behavior modification tactics? “Key phrases you can say” for better classroom management? I’m thinking my headline will be – ” 5 Reasons why you should visit Isla Mujeres, Mx”. Looking forward to building my opt in page and see how it goes. Long time listener, love the podcast! Taking a stab at a headline! Awesome podcast. Definitely one of the best! Love this podcast episode as well as the other 77! I took the principles from “Clay’s” webinar and transposed them into a A3 poster. It’s a marketing campaign we are using in Universities for our website and services. I lost 25 lbs and 5 inches off my waist simply by working out at home. Discover my secrets and how you can do the same! Wow. Wow. Wow. That’s all I can say. This podcast is like the exclusive country club of insider info on marketing my business. I listen on the road, like many others I’m sure. When I get home I take notes as I listen a second time. Your guests have really jump-started my thinking and energized me to get started with my top idea, while developing strategies for introducing the other two of my top three. I can’t thank you enough!!! Love the actionable-ness of this episode, you guys did an awesome job. Got me thinking and restructuring my opt-in strategy immediately. The Top 5 Professional Grade Health Foods Plus 2 Killer Tips to Get Them At Discount or Free. Another amazing podcast – definitely in my top 3, maybe my favourite. I’m just redesigning and focusing my blog – I had never given any thought to collecting email addresses or how important they can be. I’m a total convert now! Another awesome pod cast, very powerful information on how to build your list! Thanks for an amazing podcast – I loved listening to it from beginning to end and enjoyed taking action even more as soon as I finished listening to it. Thanks for the kind hearted self less giving you put into all that you do. It is VERY much appreciated! I have put together a spreadsheet to give you a back-of-the-napkin snapshot valuation of most any real estate deal based on your specific investment criteria. This is based on the calculation that I use every day as a professional commercial real estate appraiser. FYI – The spreadsheet is set up to be fill-in-the-blank simple. No knowledge of investment math necessary. I’m more than happy to send this spreadsheet to you for free to help you get started analyzing real estate deals on your own. Who were the 3 winners? I’d like to see their headlines but can’t seem to locate the list of winners. Just added them to the post. Thanks Ben! Rats – Missed it by about an hour. I was catching up on my podcasts this morning and this is definitely one of your best. Thanks again and congratulations on becoming an adviser! Here are my yummy resources! Hey there! There is some great information here! Thanks for the awesome content! I was just relistening to the podcast and I noticed that you said that you’d give it a week for the winners to be announce but I heard them announced on the webinar last Thursday. Or did the podcast air earlier than I thought??? Sorry if I miscalculated! I had found Lead Pages through SPI previously and intended to use it for my next site but after hearing this podcast with Clay, I will certainly be using it! Thank you Pat and Clay for doing an excellent job and bringing great resources. As you say, AWESOME! A little late to the party but I loved this episode. I just tried to download & checkout the html items Clay mentions but it seems the zip is empty? Is there any other way I can check this out? How do you set up LeadPages with a CNAME so that your domain gets the SEO benefits (example.com NOT example.leadpages.net) but you can still take advantage of LeadPages hosting? The only other option is to create an HTML file of your LeadPages page and embed it in your WordPress site (which is not as easy). This episode is phenomenal!!! Thank you so much. It’s timely and chock full of great information, without being overwhelming! Wow, great episode Pat and Clay! A ton of information to soak in for me. I’m not sure just how to implement all this, but I will put one foot in front of the other and give it a shot. Thank you guys for taking the time and putting out all this information. There is so much to learn and so little time. “The Top Three LED Lights For Your Reef Aquarium That Can Save You $400 Per Year (Including The Ones I Use)”. You guys delivered. Pat, honestly..I am sure I speak for everyone who is a fan of Pat…I am just thrilled to watch you succeed. I hope you experience phenomenal success and continue to have a blast doing it. 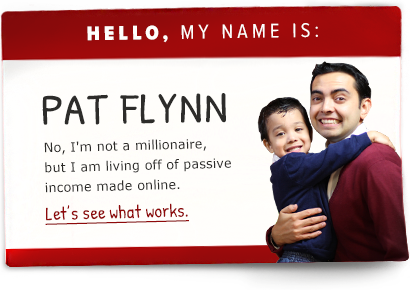 Heres my headline: The 5 Things You Can Do To Become Friends with a Celebrity like Pat Flynn…3 are obvious, 1 is counterintuitive and the last is pure NINJA! Hi, thank you so much for the great content and give aways!! I’m already putting in into practice. GET THE WEDDING CHECKLIST GUIDE! 22 must-have wedding checklists + helpful tips that will make your wedding planning much easier. Hint: you could end up saving big money with this guide! I hope you are reading this, i found you as one of the best speakers i’ve heard and why is that i would like to share, when talking to some one you need to get the listeners mind listen to you in concentration and believe me after a longgggg while i have listened any pod cast without doing anything to make me concentrated. you can have a career in public speaking just saying..
Top 14 tools used by today’s most successful Entrepreneurs! Clay, could I get your feedback on this one? Thanks! It was great to hear this episode. What got me was when you said that the simple resource guide works the best, as I have a number of opt-in giveaways, from video courses to ebooks. However, my best one has always been my YouTube resource guide, “The 10 Hidden Secrets That You Need To Know About YouTube”. It is a very short guide that tells you ten things most people don’t know. Love the podcast guys, great to hear from you Clay. I’m looking forward to checking out landing pages. I’m not all that computer savvy; I downloaded the package but I can’t open it. Any suggestions? Hello Pat, It’s been a while since I stopped by here. Lots of things going on here. Just stopped by to let you know that I just subscribed for a yearly membership to leadpages through your link. Great episode Pat & Clay – really good content. Going to adopt some of these tips straight away. Thanks. Here is my headline: My Five Favourite Resources for Successful Lacto-Fermentation: Secrets of Our Great-Grandmothers. This episode rocks! I’m only half way though and had to come over and put my headline in for my personal diet blog, which, as of yet I haven’t put a opt-in form because like you said I thought I needed to create a huge book/product to give away…not anymore! OK, I am not a Mac-er, so can someone tell me how to get past the error of “path too long” on Windows 7 when I try to extract the goodies from the ZIP file? Now that my urgent need/pain is out of the way, I want to say that this episode really opened my eyes. I am just getting my website off the ground (nothing to show yet, so no link to share) and I realize that even though I don’t have monetization in place, building an email list now is essential for future expansion. I also have little money to throw at this right now, so I have to work on the landing page myself. I found some information on creating a static page. Can anyone help me with explaining the pitfalls of trying to set it up by myself? I know a little HTML coding, but from WAY back in the 90s. Thanks always, Pat, for all your great information. Ha ha! I’m 695 comments too late and I guess about 2 weeks too! I knew I would be. I’m a couple of podcasts behind so I am just hearing this amazing podcast today. I am a wedding DJ, however I am having troubles on what to talk about to a customer after their wedding dance. Any ideas? Thanks for this amazing episode, I have listened to you for going on 2 years now and have built a few sites earning $ from your podcasts and blog. BEFORE you, I had been trying to build a high traffic site for an embarrassing 5 years. So THANKS a LOT! What I LOVE about your podcast is that I can download the transcription in order to read it. I am SO pressed for time, and I know that for a LOT of people listening is faster, but for me reading is faster. Thanks for an info packed podcast, I’ve just started listening and have already gained so much. Just wanted to say thanks to you and Clay for one of the best SPI episodes ever. The only thing that beats this podcast episode was the actual webinar. You’re killing it! Keep raising the bar! After listening to the podcast, then watching the webinar replay I immediately implemented just 2 of the ideas. I changed my opt-in thank you page to include Facebook, Twitter and Google+ buttons and I started giving away a resource guide with some of my posts, and in just 4 days my opt-in rate has doubled, and Facebook page is growing much, much faster. Absolutely gutted. Loved the presentation and was really excited by the software so signed up immediately. Unfortunately I use Joomla and this software does not work! It messes up the sites horribly. Support have been great trying to find a solution but unfortunately their only suggestion involved getting involved in coding the pages and my site, precisely what I didn’t want and what LeadPages is designed for. A real shame that the massive Joomla contingent on here can’t use this software and surely a message that needs sending out clearly on the sales pages. This was a great Podcast…the Webinar was too! Leaving the military soon? Get these 10 tactics to guarantee a successful transition. This was a great podcast, packed with value! Resource Guide: The only 5 things you to get an eCommerce site up and running. Hint – 4 of these won’t cost you a thing! I truly appreciate the valuable information that you deliver time and time again here on SPI. Your hard work and dedication doesn’t go unnoticed Pat. You’ve assisted all of us in becoming better and realizing our dreams. Thank you Clay as well, for taking time out of your life to help us all with our lead generation. The podcast was too long! If possible maybe shorten the podcast to less than 1hr, or spilt long podcast into 2. Too much and heavy to absorb. I didn’t even notice that length. It just flew by. I think I was writing too much. Me too. I thought it was fine… both times I listened to it. Cracking podcast, listened on the way to work and nearly turnaround and started my journey all over again. So many nuggets of information and wisdom, will look to use many of the resources outlined and head over to lead pages to find out more. Top 5 of my favorites? Nope . . . Number One! Clay: Lead magnet feedback please. I stumbled upon your website (literally as I am racking my brain to recall how or who referred you). This is amazing. I spent the entire working day (during my day job or as I like to refer to them as my silent investor) listening to as many pod casts as I could and they were all amazing. Wonderful stories. So helpful that I kept stopping the tape to take notes. Will definetly be coming back again. Of the hundreds of podcasts I’ve listened to in my life (most of them yours, Pat), this was above and beyond the best. I’ve already spent the whole day implementing some of these tactics, and plan to spend a good chunk of the rest of the week implementing the rest. Thanks so much, Clay, for all of the incredible tips and resources. You definitely know your stuff. Brilliant as always Pat, your podcasts are so useful and the people you interview are so amazing! I get so excited everytime I see a new episode on itunes. Greetings from Spain! I definitely can see the value of this… being able to build your list fast is a good thing, anything that can help you get more traffic is what you NEED to get the most out of your business. First – who are you wanting to sell to? Who do you see as your customer? and third – find out where that person is going to be, and go there to advertise. If you have a product of a great car, and know the price is higher than others… you need to know the type of person who will have that much money, and find out where that person is. If it is likely that this type of person is a golfer, then you want to go to places that golfers go and present the product there. Do you need to have an aweber type of account to use Leadpages or does Leadpages have something like Aweber built into it? LeadPages does need to sync with an email service provider such as Aweber, GetResponse, Infusionsoft, etc to actually collect the contact info being collected. Thanks for the question! Thanks Clay and Pat! I can’t wait to report back on how it worked. I just listened to Episode 78 today and am listening to the Webinar replay. I clearly see the value of LeadPages and am asking my staff to look closely at your service (especially how it interfaces with InfusionSoft). I have 2 quick questions, in looking at LeadPages I stumbled across LeadPlayer. 1. Does LeadPlayer come with LeadPages? 2. Can LeadPlayer use Wistia as host rather than YouTube? Thanks for all you’ve done with LeadPages. Hi Pat (and Clay if you’re still reading these comments) thank you very much for SPI 78 Podcast! I finally listened to it on my return trip and could not wait to get home and get started. I always appreciate the “little” tips that yield the “large” returns! First, I wanted to say thanks to you, Pat, for always giving so much value in everything you do. Also, big thanks to Clay for sharing so much insight. I love that you have the data to back it up! Anyway, I’ve listened to the podcast, downloaded the resources and scoured the comments section for Clay’s feedback. One of the things that I’m confused about is “specifying the type of tool”. Much of the feedback Clay gave indicated that the type of tools people were listing was too vague or weren’t really tools, which I get. However, there is one example in the Resource List Lead Magnet Examples titled “Top 10 Tools to Lose Weight and Keep It Of” which is a list of rules or strategies i.e. Track your progress, etc. Is it acceptable to just call them tools and create a “resource guide” of rules or guidelines? I’m considering something like “Top X Tools to Get Your Home Organized & Keep it That Way”. I could create a products/containers resource guide but prefer not to go the products route. Pat and Clay…fantastic show. Tons of information to take action on. Sorry I’m a little late to the party. Got behind in the podcasts and am playing catchup. 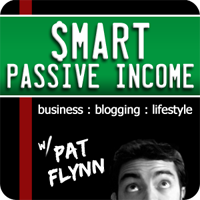 Catching up on a backlog of SPI podcasts and Pat I gotta say – this one is sick. I don’t know that I’ve ever listened to a podcast so filthy with solid, actionable content. This one will get five or six more listens and will keep me busy for weeks! Thanks for all you’re doing for us Pat, keep killin’ it! let me know what you find out, thanks. Finally listened and I’m so glad I did! I’m changing up a few things on my site right now! My site shows people how to create a print custom photobooks called digital scrapbooks. I’m not doubting that LeadPages is excellent but I’m sort of put off by misleading claims about the free stuff. Namely the templates. Well it doesn’t show you “How” to use them at all. It tells you that you have to upload them to your HTML editor (will need to know coding) etc which is obvious for people who know this. But then goes straight into about how much easier it is to get this done by paying for LeadPages. What Clay should do is actually show people, step by step, how to do it. Given that it’s a bit of a task for most people, many would decide to buy LeadPages anyway to save them so much trouble. As it stands, anyone who doesn’t know how to edit them in Kompozer for example and upload them to their server or doesn’t know how to copy the HTML code and paste it into wordpress, will have to pay for LeadPages. So it’s like “I’m so generous so here’s some free templates for those of you who are just starting out and can’t afford it yet. But we’re not going to show you how to actually use them”. These Free Templates are also available from the Leadpages website but no where on the site does it show lesser geeks how to make use of them. Seems like a cunning trick and it’s obvious why. The point of a LeadMagnet is to build trust and credibility by give something of value, that is useful, and solves at least part of a problem. Not something that will only work for most people if they fork out a minimum of $37 per month. It’s also obvious that many people are going to want to promote this product as an affiliate. But to do that…guess what?..You’ve got to sign up for the $67 per month package. As great as this software seems, the whole ‘ car salesman’ tactics being used is a real put off. All the free content and strategies and tactics and advice in this session and you’re offended that they don’t have an instructional module on copy/pasting HTML. Entrepreneurship requires a slight amount of effort on your part. What Would YOU Like to Ask Tim Ferriss? What's Better: Having 1 Site or 10 Sites? A Step Towards Ethical Link Building - What Happened and What Now? Over 75,000 amazing people have subscribed to my newsletter ‚ÄĒ and you’re amazing too! It‚Äôs nice to meet you! I’d love to send you exclusive content that you can’t find anywhere else on the blog, and I’ll send you a free copy of my book, eBooks the Smart Way too!